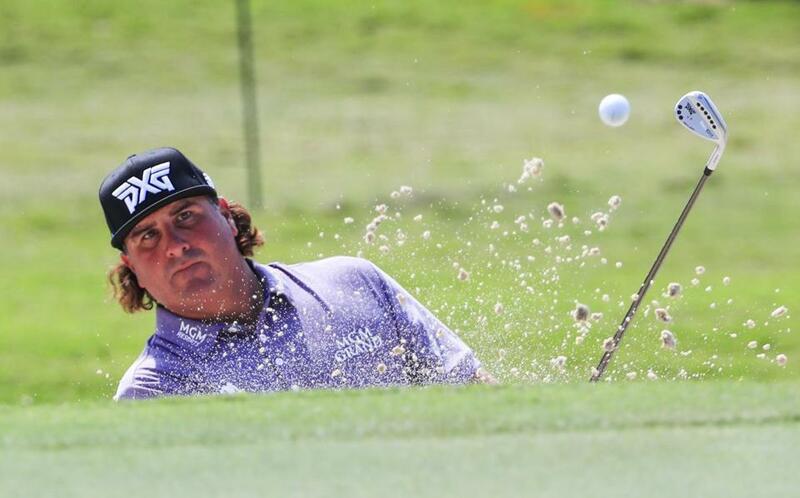 Pat Perez is making his first appearance in the 30-player Tour Championship field. ‘‘It’s awesome to be here. That’s all I can say, really’’ says the 41-year-old. ATLANTA — All 30 players who made it to the Tour Championship have a mathematical shot at the FedEx Cup and its $10 million prize. That includes Pat Perez, the No. 11 seed, who calculated his own odds of winning. These sobering words come from perhaps the happiest guy at East Lake. Perez finished 40th on the money list in 2002, his rookie year. He never has come seriously close to losing his full PGA Tour card in 16 years. But it took him until now, at age 41, to reach the Tour Championship for the first time. He is among eight players at East Lake for the first time. He also is the oldest in the field. Well, not really. Perez, whose career has been filled with explosive moments with his game and his words, had plenty to say about the achievement of someone who stands out among the new generation of golfers. He is not a power player, ranked outside the top 100 in driving distance. Young players strut. Perez waddles. They are dedicated to the gym and tailored fitness routines. ‘‘I like to sit,’’ he said. But he managed to get it done when he least expected it. This time a year ago, Perez was coming off shoulder surgery he feared might end his career earlier than he wanted. He had gone seven years since his lone PGA Tour victory. He was waiting to hear if he would get a sponsor’s exemption to Malaysia. All he had was motivation from being dropped by an equipment company, and a fresh perspective that good golf is nothing to take for granted. He won in Mexico, his third tournament back from his surgery. He tied for third at the Tournament of Champions, challenged at Torrey Pines with a tie for fourth, and was one shot out of a playoff at the Wells Fargo Championship. And here he is among the elite on tour for this season. His odds to win the FedEx Cup aren’t all that long. The top five seeds going into the Tour Championship — Jordan Spieth, Justin Thomas, Dustin Johnson, Marc Leishman, and Jon Rahm — only have to win the tournament to capture the FedEx Cup. After that, the odds get slightly longer the lower the seed. Rory McIlroy won last year at No. 6. Jim Furyk was the No. 11 seed at East Lake when he won the FedEx Cup in 2010. Bill Haas is the lowest seed to win, at No. 25 in 2011. Spieth will try to join Tiger Woods as the only two-time winners of the FedEx Cup, and the British Open champion probably would need to win to at least make players think about their vote for PGA Tour player of the year. Right now, the obvious choice is Thomas, whose season-best five victories include his first major, the PGA Championship. Johnson is seeking redemption after last year, when he was the No. 1 seed and tied for the lead going into the last day at East Lake but shot a 73 and could only watch as McIlroy won in a playoff. Rahm has finished in the top five at all three FedEx Cup playoff events heading to the finale at East Lake. It’s not hard to ignore the potential for a $10 million payoff. ‘‘Especially for a 22-year-old who just left college,’’ Rahm said. And then there’s Perez, who is playing East Lake because he can. That’s something he could never say until now.